With the introduction of numerous features in Windows 10, many of us are now acclaiming Windows 10 as the most reliable and performing Windows of recent times. You may have used Windows 10 for the past 3 years without issues, but what would be your fate if something happens, and you need to reinstall Windows 10? If you don’t want to lose everything in the face of a system crash, then you have to create a Windows 10 recovery disk. Nevertheless, there are a good number of options to create a Windows 10 repair/recovery disk from Microsoft and third-party software solution, but knowing the right and effective solutions to create a Windows 10 recovery disk is usually a hard nut to crack. Why do you need to create a Windows 10 recovery disk? The idea behind the question is to help you reinstall Windows when an issue occurs. Moreover, it can also serve as a troubleshooting solution, which can be a lifesaver when your PC refuses to boot. In Windows 7 and 8, when you PC refuses to boot, you can try some troubleshooting methods such as boot in Safe Mode or use “Last known good configuration”. But with Windows 10, that’s no longer the case, you’ll need to reside these tools in a separate notable USB drive, and everyone running Windows 10 needs a Windows 10 recovery disk. Step 1. Obtain a 32GB USB flash drive, and connect it to your computer. Please, make sure you’re using a new and empty drive because everything in the drive will be deleted when you create the recovery drive. Step 2. In Windows Search Panel, type “create a recovery drive” into the search bar, and select “Create a recovery drive” from the search result. Step 3. Select “Backup system files to the recovery drive”. This would copy the recovery partition to your USB drive and would take more than 16GB of storage space. Step 4. Click the “Next” tab, select the USB drive you want to use, and click “Next” again. Step 5. Click “Create” to create the recovery drive, and “Finish” when the drive is ready. Store the recovery drive in a safe place after creating it to avoid damage. Many Windows 10 users have complained that they lost their important files after creating a Windows 10 recovery disk. 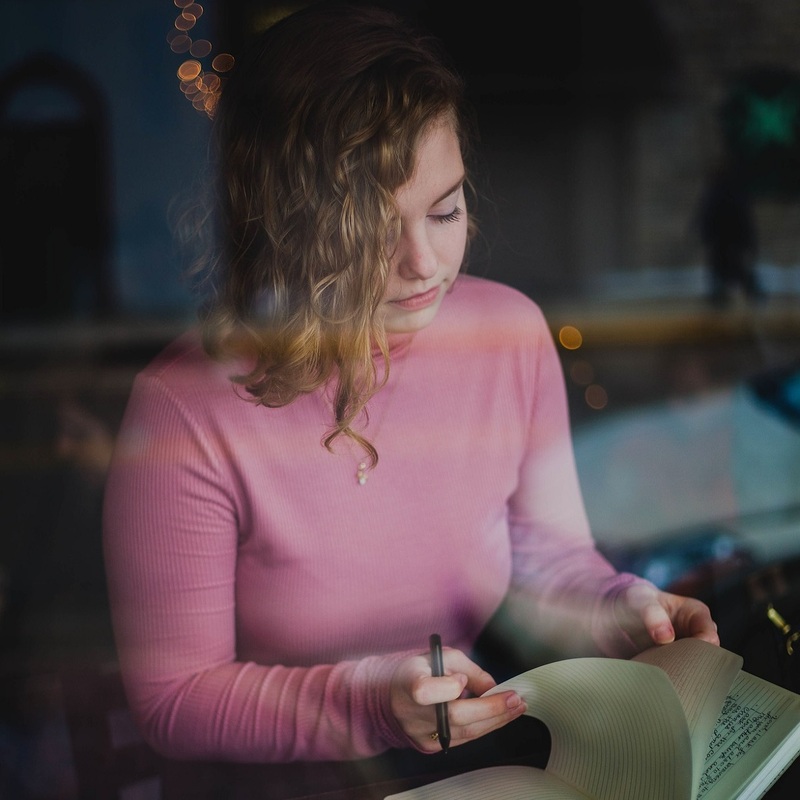 If some of the vital information, data, and files in your PC are missing, formatted, deleted, lost, or you can’t access them after creating Windows 10 recovery drive, then you need the assistance of iMyFone AnyRecover. AnyRecover Windows 10 Recovery Software is the ideal solution for you in any Windows 10, 8, 7 or Vista data loss situation. So, try using AnyRecover now for your data recovery needs. 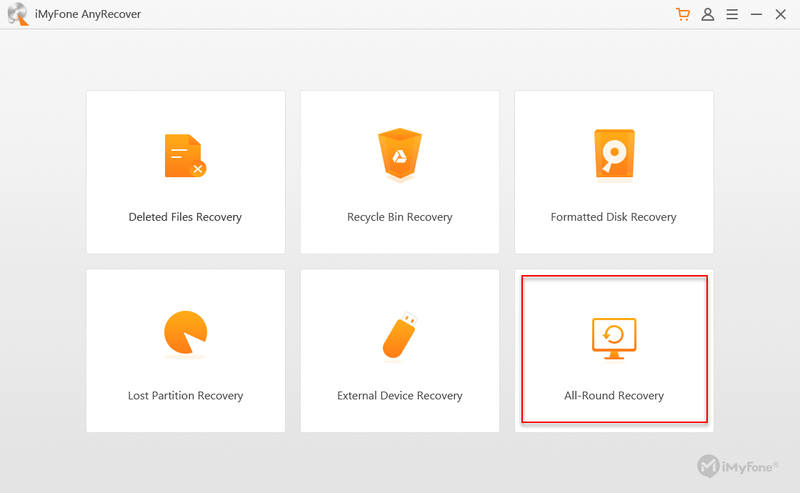 Recover files lost, deleted, or formatted when creating Windows 10 recovery disk. 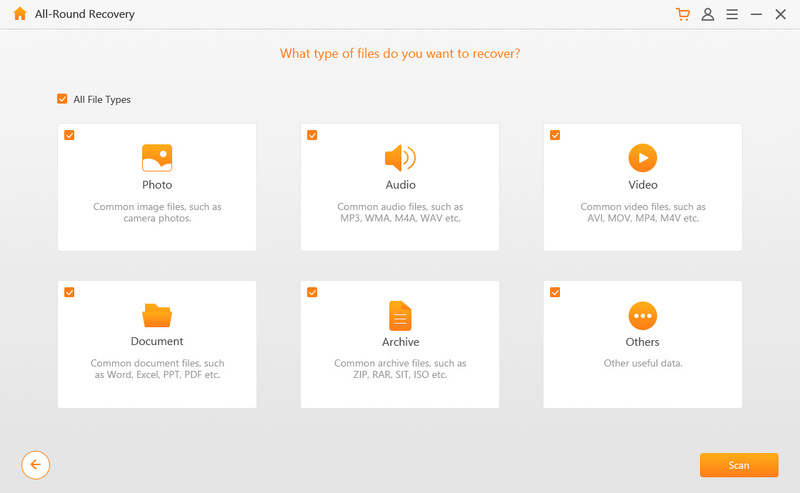 Recover lost, formatted, deleted, and corrupt files such as photos, audios, music, videos, etc. from any storage device. 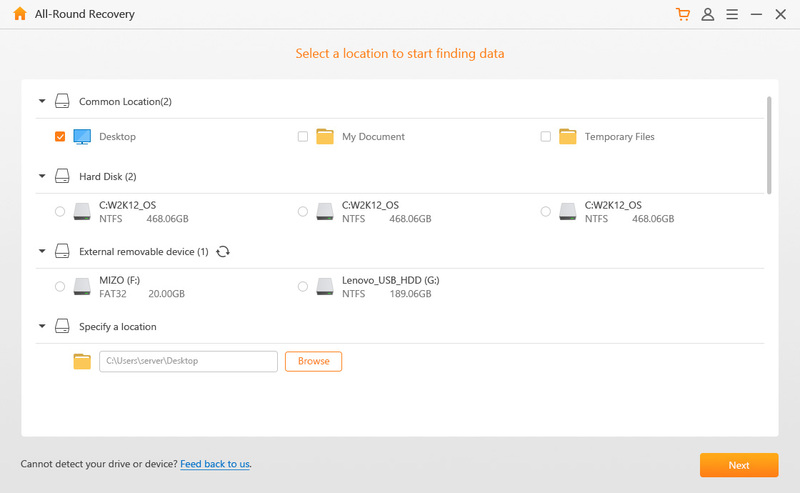 Safely, effectively, and completely recover all your lost files from any Windows device. Supports data recovery for lost partitions, Recycle Bin, hard drives, memory cards, removable flash drives, camcorder, digicams, etc. Step 1. Download, install and launch iMyFone AnyRecover on your PC. Then, select “All-Round Recovery” mode. Step 2. Choose a location where you lost the files on your computer, and then click “Next”. Step 3. Choose the file type and click the “Scan” tab to begin scanning your computer for file lost because you created Windows 10 recovery disk. Step 4. If you unable to locate the lost files, select “Deep Scan” for a scan every corner of your system for the files. Step 5. You can preview through the scanned files by clicking “Tree View or File View”. Once you’ve located the missing file, you can select it and hit the “Recover” button to retrieve it. Note that saving the recovered file in the same folder where it was lost is not advisable. So, transfer it to another folder for safe keeping.